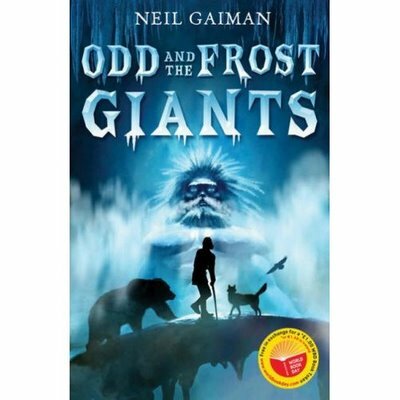 Where will I buy Odd and The Frost Giants since I live in the US? Will there be a distributor here? How long do I have to wait? Also, how long do I have to wait for The Graveyard Book? I'm aching to read new Gaiman. You're welcome. Let's see... I don't know if Odd and the Frost Giants will be published in the US. No plans for it at present, anyway. It was written for something called World Book Day in the UK, where a bunch of authors write books for nothing, and publishers publish them for nothing, and they get sold for £1 each to kids who have been given £1 Book Tokens, and the whole thing exists purely in order to get kids reading. They describe it on their website as the biggest annual event promoting the enjoyment of books and reading. It was started by UNESCO, borrowing a custom from Catalonia, where roses and books were given as gifts on April 23rd (St George's Day, Shakespeare's birth and death day, not to mention Nobokov's birthday and Cervantes deathday). In the UK and Ireland it'll be Thursday the 6th of March 2008. As to how you'd get a copy if you aren't in the UK, I'd suggest either get someone in the UK to buy one for you, or simply order one from an online retailer. You'll be paying postage but it's still a 14,500 word book for $2 (that's about half the length of CORALINE) so it's not going to set you back much. Now I've finished writing Odd..., I've an essay on Jeff Smith's Bone to do and an introduction to a book about Frank McConnell, then I'm back full-time onto The Graveyard Book until it's done. Will probably fall off the earth in December to finish it. I think The Graveyard Book will come out in about a year. Maybe a little less.